... an area of activity, interest or influence. Precision : Strike Orbit is made to a medium-sized teardrop shape with 1.0mm thickness. The weight is approximatley 7.5 grams. ... Japanese 手裏剣 : sword hidden in user's hand. Precision-ground opposing bevelled edges and a picking point hand polished to perfection with diamond paste make Precision : Strike Shuriken massively responsive to playing style - the beautiful smooth, rich tone can be progressively sharpened or mellowed with pick angle to access a broad pallette of sound and dynamics. The precision-ground bevel and a picking surface hand polished to perfection with diamond paste give Precision : Strike a beautiful rich tone with a smooth attack. This can be progressively sharpened or mellowed to access a broad pallette of sound in response to different pick attack angles and styles. Precision : Strike Shuriken is engineered with precise opposing bevels - angle the bevel into the string for a softer, richer but still authoritative attack; angle the pick flat on to the string for a much brighter, strident tone, that never becomes harsh or metallic. 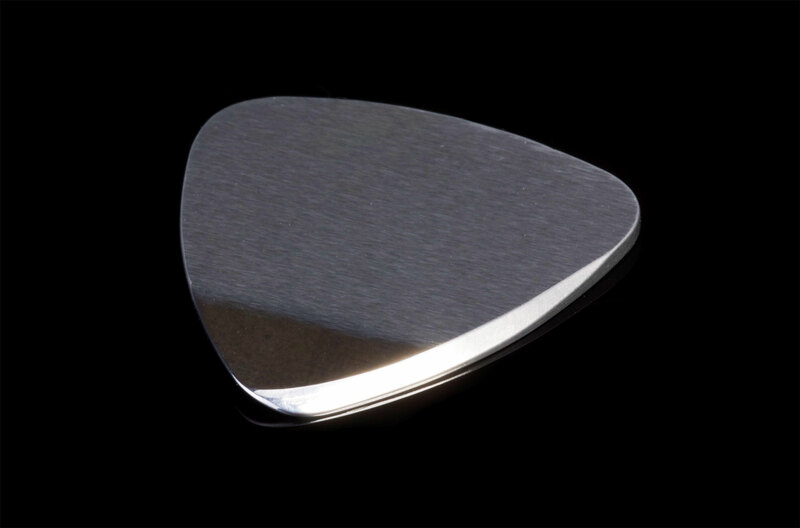 At 1.5mm thick and nearly eight grams, Precision : Strike feels solid and luxurious, and enables the finest control over pick attack style. 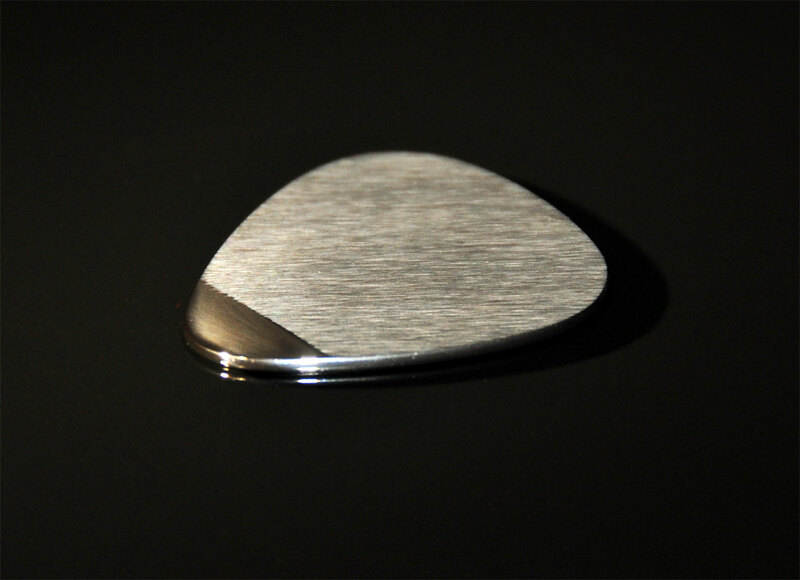 The microscopically smooth bevel edges and picking point enable the pick to glide across the strings with virtually no friction. 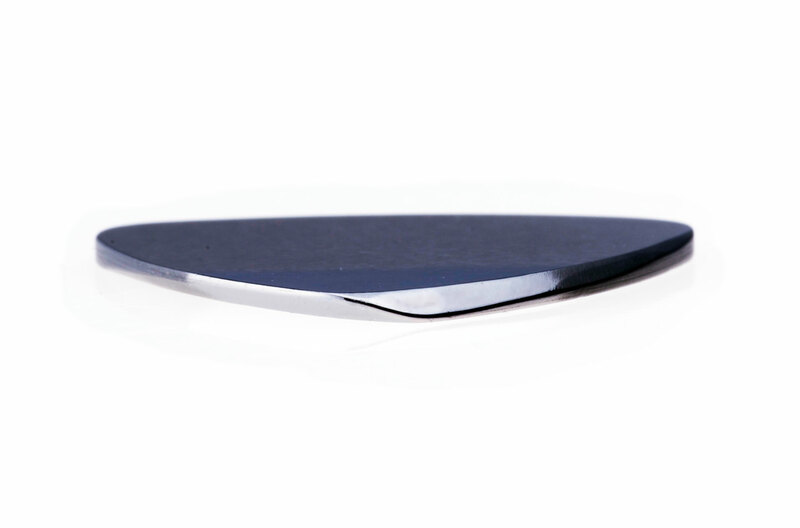 The sides have a brushed finish, giving just the right level of friction to ensure a secure grip. Precision : Strike Shuriken is made to a medium-sized triangle shape with 1.4mm thickness. The weight is approximatley 11.5 grams.